Explore the beauty of urban landscape with Artful Etching: Cities. 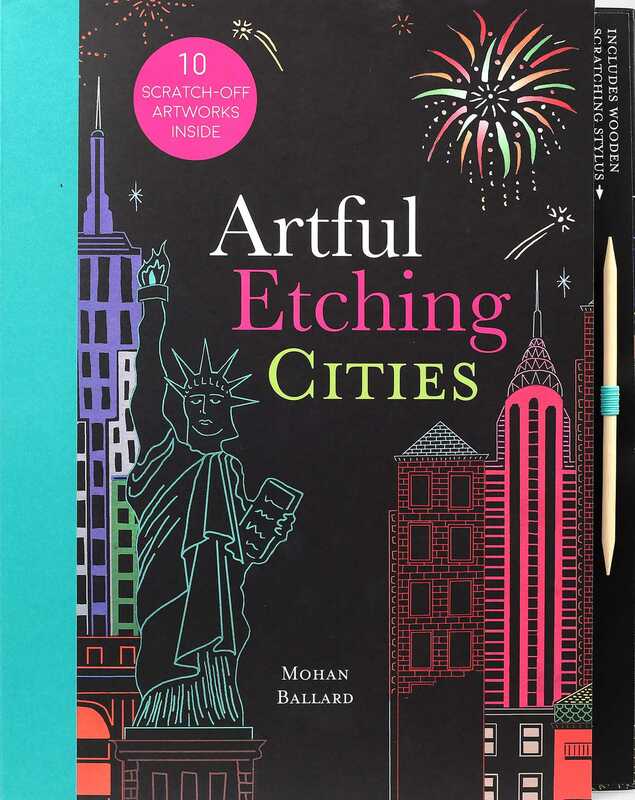 Etch the ten cityscapes in the book using the included tool to reveal colorful details and beautiful buildings. All the etching pages have outlines to follow, and it’s up to you to decide how much detail to reveal! An introductory section describes how to etch the scenes for the best results, and examples of finished pieces are included for reference. Mohan Ballard is a freelance illustrator based in London, England. He developed his unique style of vibrant colors and scenes bursting with fun detail at University of Southampton. His work has since been exhibited across the UK and was shortlisted for the prestigious Bridgeman Studio Award in 2017. Mohan’s original paintings and stunning limted edition prints are currently on sale in DegreeArt, a gallery in Central London and on his website, www.mohanballard.com.